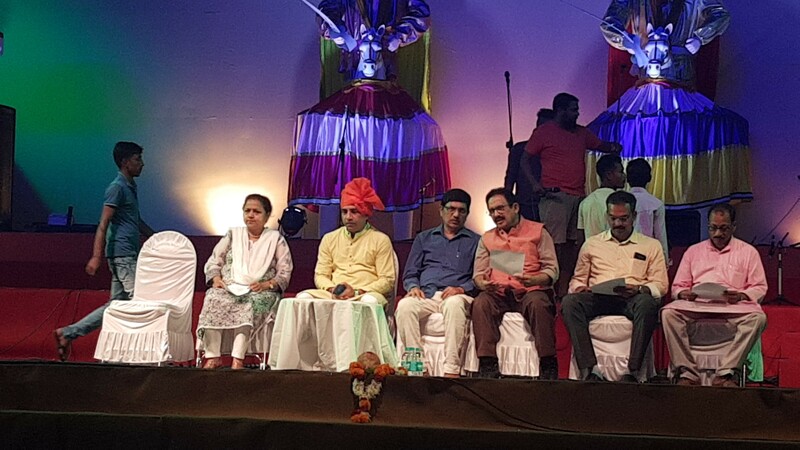 Panaji : 11th January 2018 :::: Minister for Art and Culture Govind Gaude today inaugurated the 10 days Lokotsav, an Annual Festival of folk music, dance, arts and crafts in the Capital city of Panaji, Goa at the Darya Sangam at Kala Academy. Folk dancers representing from various parts of the states as well as from other states of the country, would showcased their traditional dances in the ten day festival event. The festival is jointly organized by the Directorate of Art and Culture, Govt of Goa, West Zone Cultural Centre-Udaipur, Kala Academy, Sports Authority of Goa and CCP. This is the 20th edition of the festival. There are more than 500 stalls which will would items like carpets, clay art, furniture, block print, bandhani, handmade garments, slippers, leather bags, khadi, wooden toys, and Goan crafts. more than 500 folk artists would also take part in the ten day festival and would entertain the audience during the festival. The performances include various types of folk dances and music. Additionally, traditional food items of different states will be available for tasting. speaking at the inaugural function Minster for Art and Culture, Govind Gaude said that the department would formulate a scheme or policy wherein the artists will be given a platform to showcase their creative work. he said more than 1000 artists would be participating in the festival this year and there were many more who wanted to be a part however we were unable to accommodate them but would definately make a provision for them in future. Gaude also mentioned that this year around 43 folk groups from different corners of Goa woere showcasing their art at the 10-day festival. While welcoming the guests and other dignitaries, director for Art and Culture, Gurudas Pilankar said that a lot of efforts and dedication was undertaken to see that the festival was conducted in a great sucess and that he was happy to see the festival coming in to a reality. Also, secretary art and culture, Daulat Hawaldar spoke on the occasion.Also present were noted writer Babasaheb Purandare. The inaugural was followed by various performances like Poorva Rang, Shigmovadan, Zagor and others.